Creamy Garlic Butter Tuscan Salmon - GetCooking! 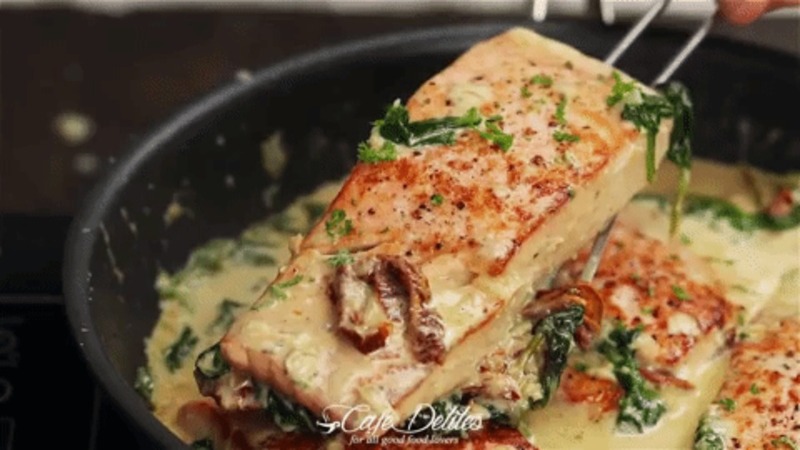 Cafe Delites’ – Creamy Garlic Butter Tuscan Salmon recipe. We’d love to hear your feedback on this video recipe format in the comments section below! If you used this video to make Thin Crust Pizza Dough, please tell us how it went! View the original recipe notes here: Cafe Delites’ – Creamy Garlic Butter Tuscan Salmon. This was excellent. My husband and I totallt enjoyed this recipe! Glad to hear you and your husband loved the recipe, Sandee.